Kaduna State Governor, Nasir el-Rufai has insisted that the concept of automatic ticket for candidates was strange to the constitution of the ruling All Progressives Congress (APC) and to the principles of democracy. 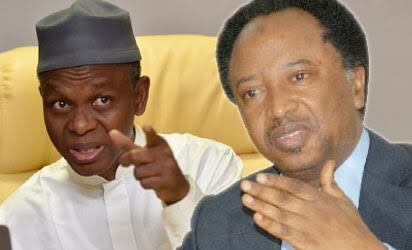 Will el-Rufai give Shehu Sani's ticket to his boy? 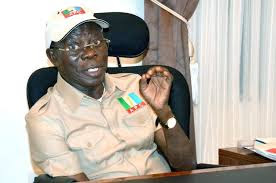 The governor said this in an interview with State House correspondents after meeting President Muhammadu Buhari at the Presidential Villa, Abuja, to protest the automatic ticket given to Senator Shehu Sani by the Adams Oshiomole-led leadership. Friday’s meeting was the second time the governor would be meeting with the President on the matter this week. He complained that despite having met Buhari and the party’s National Chairman, Oshiomhole, on the matter, nothing had changed. The governor kicked against what he termed politics of exclusion, saying it was one major reason elections were lost at tribunals. He said, “Many contestants that have been screened by the committee were removed from the list unilaterally by some elements in the party. There are rumours that some people have been granted automatic tickets, but by yesterday (Thursday)when the representatives of the Progressive Governors Forum met with Mr President and the national chairman, we thought this rumour of automatic ticket, which has no place in our constitution and any enlightened democracy, had been resolved. “But up to the time I left Kaduna this morning (Friday morning) and came to see the President, we did not receive the list of those that will contest the legislative elections. When asked what the President’s response was when he made his position known, el-Rufai said, “The President restated his position that he is a democrat and a product of elections and he has never encouraged not participating in elections. The governor said Sani must face delegates and convince them before he could return to Senate through an election. The Senior Special Adviser on Political and Ideology to Sani, Suleiman Ahmed, said the rumour making the rounds that the automatic ticket granted his principal had been withdrawn by the APC, was not true. He said it was the antic of Governor el-Rufai to confuse people.